The Qing Dynasty, founded by Manchurian clans in 1644, expanded China’s borders to their farthest reach, conquering Tibet, Taiwan and the Uighur Empire. However, the Qing then turned inward and isolationist, refusing to accept Western ambassadors because they were unwilling to proclaim the Qing Dynasty as supreme above their own heads of state. Foreigners — even on trade ships — were prohibited entry into Chinese territory. The exception to the rule was in Canton, the southeastern region centered on modern-day Guangdong Province, which adjoins Hong Kong and Macao. Foreigners were allowed to trade in the Thirteen Factories district in the city of Guangzhou, with payments made exclusively in silver. 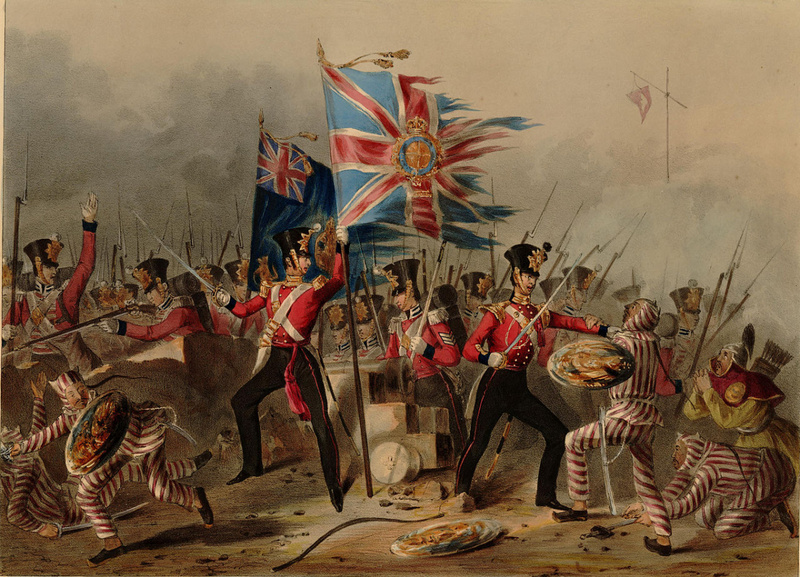 The British gave the East India Company a monopoly on trade with China, and soon ships based in colonial India were vigorously exchanging silver for tea and porcelain. But the British had a limited supply of silver. Imperialism was on the upswing by the mid-1800s. France muscled into the treaty port business as well in 1843. The British soon wanted even more concessions from China — unrestricted trade at any port, embassies in Beijing and an end to bans on selling opium in the Chinese mainland. One tactic the British used to further their influence was registering the ships of Chinese traders they dealt with as British ships. The pretext for the second Opium War is comical in its absurdity. In October 1856, Chinese authorities seized a former pirate ship, the Arrow, with a Chinese crew and with an expired British registration. The captain told British authorities that the Chinese police had taken down the flag of a British ship. President Rodrigo Duterte once again hit back at the European Union (EU) for meddling with the issues of the Philippines. "Why are you trying to impose on us?" he said in a speech Sunday at a meeting with the Filipino community in Myanmar, where he was on a two-day official visit. "Why won't you mind your own business," he added. Duterte's statements come after the European Parliament on Friday issued a joint resolution calling for the release of Senator Leila De Lima, who was arrested on February 24 on drug charges. The President also responded to the body's suggestion that the ongoing drug war must go hand-in-hand with measures for prevention and detoxification, including the opening of new rehabilitation centers. 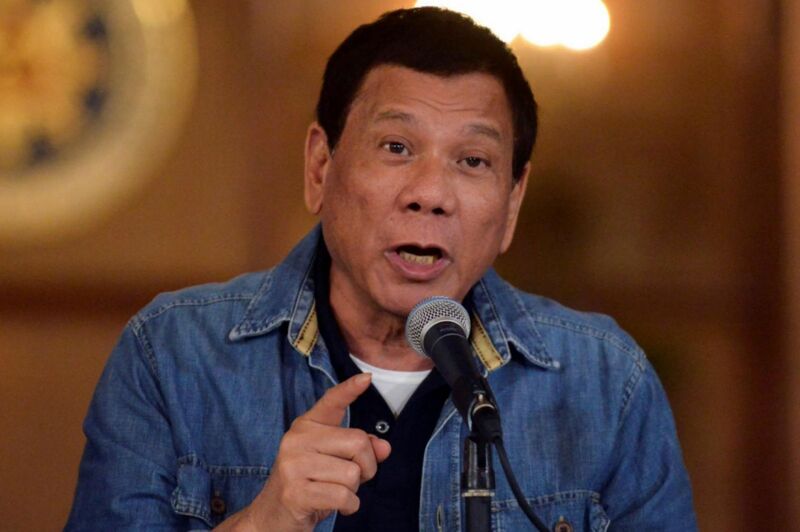 "This EU Parliament, prinopose nila lahat na lang na addicts, bigyan nalang," Duterte said. "Kung shabu, bigyan ng shabu. Kung cocaine, bigyan ka ng cocaine. Magpunta ka lang sa center." The government has moved into the second phase of its war on drugs by shifting towards reforming drug dependents by building more rehabilitation centers, Presidential Spokesperson Ernesto Abella said in October 2016. Duterte has chastised the EU since it criticized the war on drugs he launched in July 2016. In September 2016, he challenged the United Nations and EU lawyers to come to the Philippines to prove their claims of alleged extrajudicial killings related to the drug war. The President said he should be given the opportunity to be heard by them. "In keeping with the time-honored principle of the right to be heard, matapos nila akong tanungin, tatanungin ko sila. Iisa-isahin ko sila," he said. "Manood kayo. Tignan niyo kung paano ko lampasuhin yang mga yawa na 'yan." In October 2016, Duterte challenged the United States and the EU to pull out their aid to the Philippines. "If you think it is high time for you guys to withdraw your assistance, go ahead," he said. "We will not beg for it," Duterte said. Meanwhile, EU Trade Commissioner Cecilia Malmstrom said at the ASEAN Economic Ministers' EU Trade Consultations earlier this month that the Philippines's human-rights record — from the war on drugs to the proposed reimposition of the death penalty — could be a sticking point in free-trade agreements between Philippines and the EU. "The European Parliament and member-states have some concerns about this development," she said. "We are discussing this with our partners in the Philippines." Trade Secretary Ramon Lopez said if the EU doesn't budge on its allegations of alleged extrajudicial killings, the Philippines would not be swayed by conditions imposed on it by international bodies.